At Rochester Picture Framing, framing is our frame of mind. Locally owned and family operated, we are a full-service frame shop. 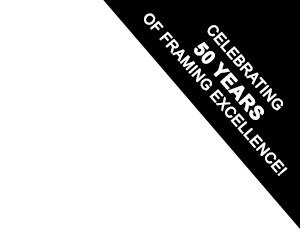 We have been in business in the Rochester, NY, area since 1966 and have built a reputation of excellence for all things framing. With a unique eye and amazing selection, we have several hundred mats, mouldings and frames on display and in stock to match any style and décor. Additionally, Rochester Picture Framing has dozens of mirrors in stock. Talk to us about custom mirrors available to reflect your personality and style. From ovals, rounds, rectangles and other various custom shapes and sizes, if you can imagine it, we can create it. With a knowledgeable team, fair pricing, quality craftsmanship and creative solutions, you can count on Rochester Picture Framing. We can help frame your memories, mount your art, shadowbox your priceless mementos or keepsakes, or reflect your taste with a custom mirror…each designed to leave a lasting impression. Rochester Picture Framing, Inc. is a proud Women Business Enterprise awarded by the Empire State Development Division of Minority and Women’s Business Development.